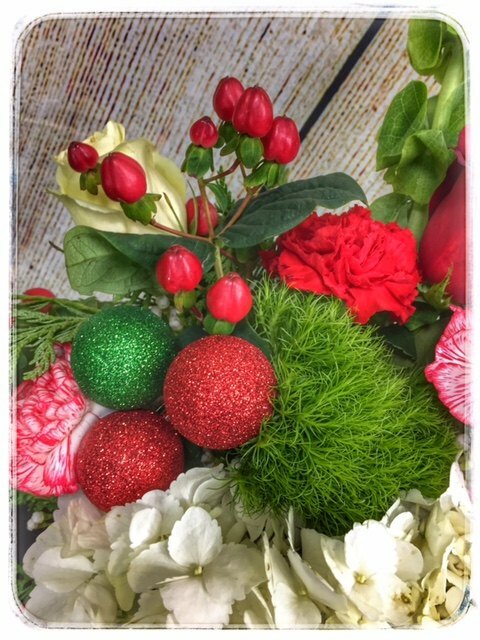 Celebrate the season with these beautiful Holiday Blooms from Petals. 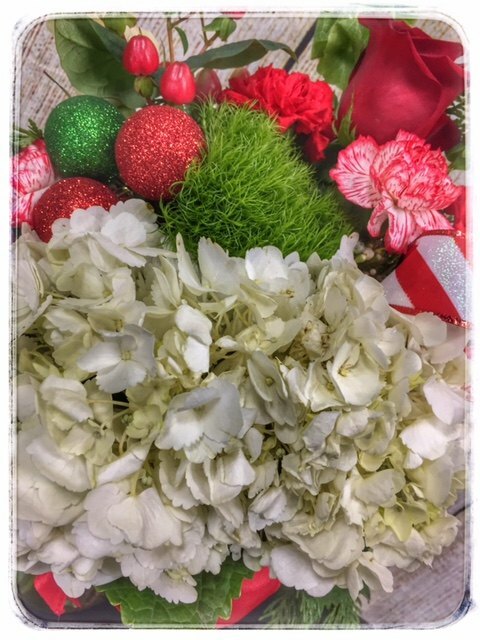 This piece includes white hydrangea with candy cane carnations and bells of Ireland that sing a festive song of the holiday season. Flowers are the perfect way to warm up someone’s cold wintery day! Stunning flowers add a dash of glamour and charm to a posh gala or a cozy gathering by the fire. Winter is an ideal time to dress up indoor spaces with life and color. 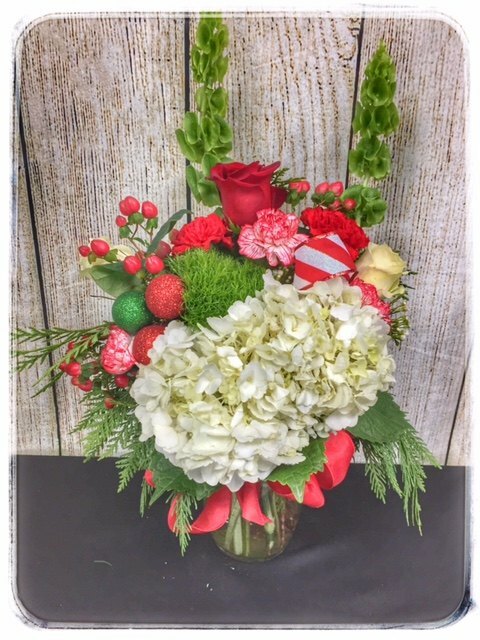 Send your loved ones Christmas or Hanukah flowers today. 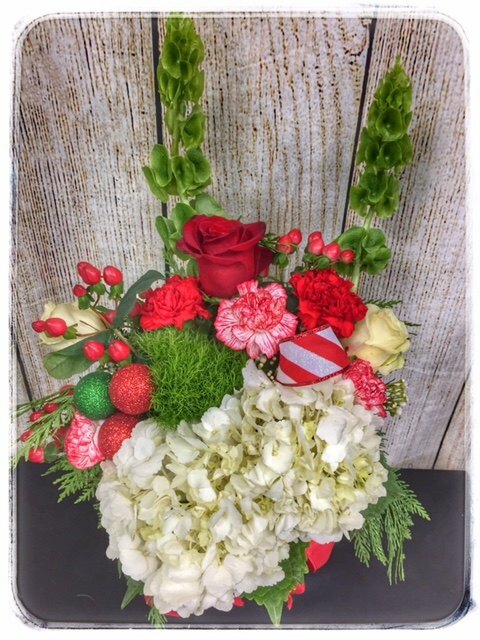 Beautiful bouquets featuring holiday blooms are the perfect last minute gift! The “Christmas Rose” is known as the true Christmas flower in certain parts of the world. The Christmas Rose originates in the tropical regions of Asia, and blooms in the winter. 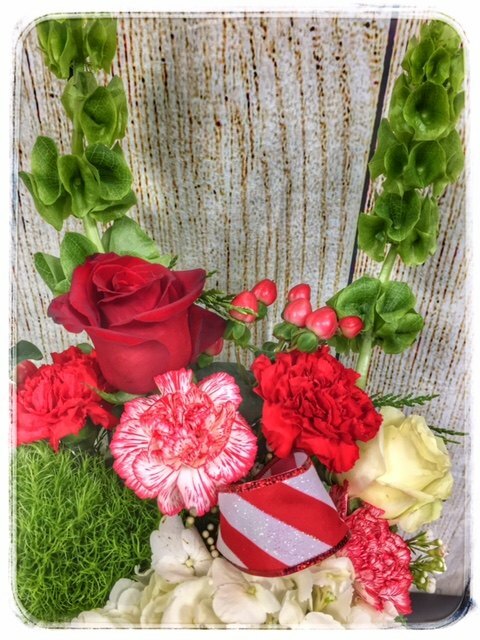 Additionally, young women in North America often exchange specially designed Christmas roses to express their spirit of fraternity….